Operation ROUND UP is a voluntary program made possible by participating customers of Southern Public Power District. Since the launch of Operation ROUND UP at Southern Public Power District in 2014, the program has distributed a total of $228,269 toward projects in our service region. 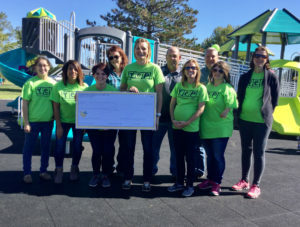 Funds have been applied to assist volunteer fire department with equipment purchases, new playground equipment in parks, improvements to community centers, and much more. Every month, participating customers see their monthly bill ROUNDED UP to the nearest whole dollar. The “change” from each customer is gathered into a fund, which is overseen by a seven-member board of directors. You may update your ROUND UP participation status by contacting our Customer Services Department at 308-384-2350. Every quarter, the Operation ROUND UP Board meets to review grant applications received from applicants across our service region. Following a thorough review, funds are distributed to project applicants who have complied with the guidelines outlined for this fund. To apply for funding from Operation ROUND UP, review the information outlined in the Program Guidelines. If the project meets the criteria as outlined, fill out the application form and submit by the deadline printed at the bottom of the form’s back page. Completed applications must be received at Southern Public Power District’s headquarters in Grand Island, to the attention of LeAnne Doose. Forms may be delivered by email, postal mail or hand delivered. We recommend that all applicants contact LeAnne Doose by phone call before an application is submitted, in order to assure the document is received through the process of delivery. 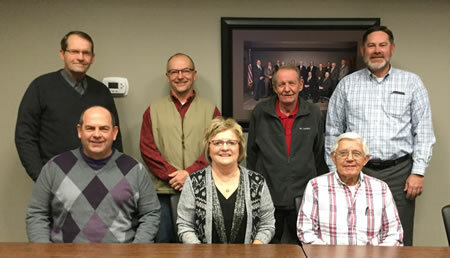 Operation ROUND UP Board Members include, as pictured: Terry Nelson, Phelps County; Jay Meyer, Franklin County; Terry Connick, Hall County; Mark Utter, Adams County; Terry Sorensen, Kearney County; Jayne Mann, Hamilton County; and Bill Bolte, Merrick County.